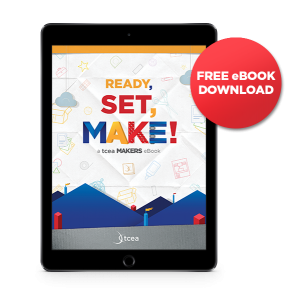 If you are considering taking on the maker movement on your campus this next school year or if you are already a maker veteran, TCEA has a new, free ebook for you. The book is Ready, Set, Make! 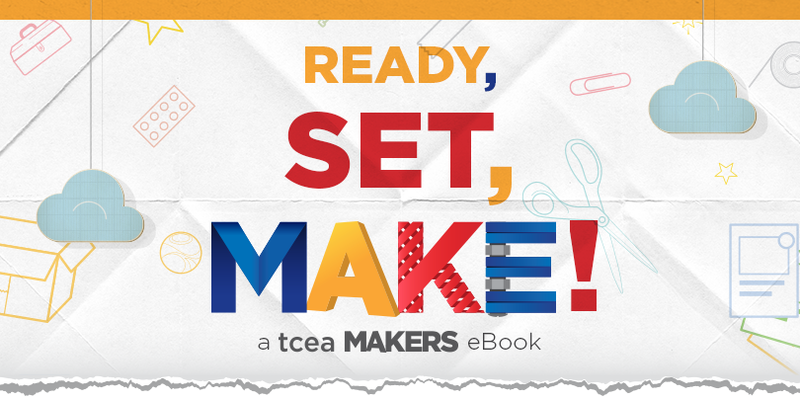 A TCEA Makers eBook. Based on our experiences sharing makerspaces with educators the past two years, the book is a ready resource for all things maker. The introductory section talks about what making is and, more importantly, what it isn’t, what it looks and sounds like, and what it is all about. We’ve included TCEA’s Core Beliefs of Making as a sample to create your own manifesto. There’s also an inventory list to help you determine how best to begin and specific recommendations for different age and ability levels. The ebook contains a variety of tested activities to spark your imagination. Each activity has an information bar that shows you the cost, preparation time, storage space required, technology needed, and recommended group size. There are activities for arts and crafts, building and constructing, and digital makers. Links for resources such as videos, kits, tutorials, and more ideas are also included. And Peggy Reimers, our TCEA maker extraordinaire, has added some suggestions that she learned while doing each activity. The final section of the ebook includes several different ways for students (and adults) to reflect on what they’ve learned during the making. After all, the learning during the process is the most important part of making, not the final product! All of the reflections can be printed out to be used in your space. If you would like to learn how a makerspace could work for your students, then please join us for a day of hands-on, minds-on excitement. You’ll experience the joys of making, share with and learn from others, and persevere through difficulties to complete your own creations. There will be a multitude of maker places for you to try out, along with a discussion of best practices in making, assessment, curriculum connections, and more. 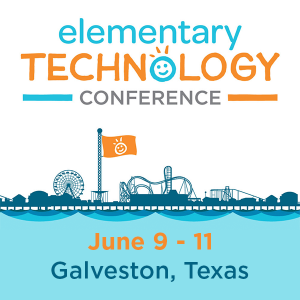 TCEA is offering a Makers Workshop on July 11 and September 22. Space is limited, so grab your team and register today! TechNotes Delivered Straight To Your Inbox! Get the latest TechNotes posts filled with the latest edtech resources and strategies delivered straight to your inbox.